This time of year many of us start to think about what we are THANKFUL for.. 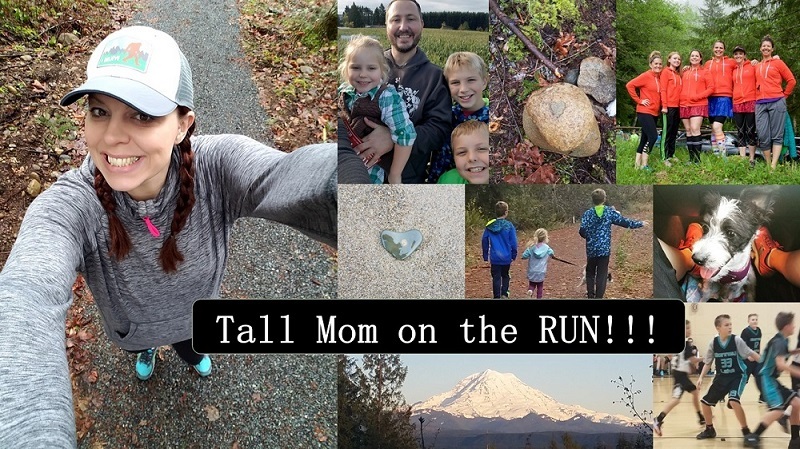 Yesterday I had a GREAT run with Jill (will share tomorrow), then we brought lunch to my Mom and Tall Brother because they are working at the Puyallup Rock and Gem show at the Puyallup Fair. If you live local go check it out great place to purchase very unique gifts. Little Stud #2 was fussy to say the least. At the Rock show he repeated "I WANT TO GO HOME!" Over and over.. Embarassed Mom, Check.. I could not get him to calm down or be quiet. It was very apparent that he got up too early and there was no way to get him to calm down. So we hugged Mom and headed out. Can you say ADORABLE??? This is a MOMENT I am very Thankful for... a gentle reminder that there is peace and joy everywhere. 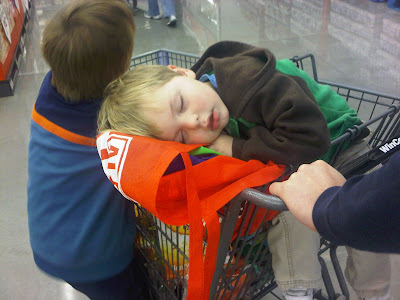 Funny, he woke up just after we had loaded all of the groceries in paper bags...nice timing buddy...oh well the bags acted as a nice pillow..
Today I am off to CELEBRATE the upcoming birth of the my close friend KT's TWINS due in February.. I will play photographer, relax and ENJOY seeing baby boy and girl cuteness. I was actually planning on going to the gem fair, but my hubby would criticize "when is the last time YOU made anything with all those beads and stones?" Absolutely adorable! Thanks for the reminder to be thankful for those moments! Wishing you a wonder-full Sunday as well!!! That picture made my day!! You are kind of making me baby hungry:) Have fun celebrating with friends today, that is so exciting!! Little monsters do turn back into angels when they are asleep. So glad you got to spend some time with Jill!!! I HATE grocery shopping, it's my nemisis! Hahaha! super cute...if we could all just follow his lead and REST when we need to without the need to RUSH RUSH and get back at it! Total cuteness!!! I hate grocery shopping to, and I desperately need to go!!! THAT is so sweet! What a cutie. I really don't like grocery shopping either...odd since I like to eat so much. Love that photo! So sweet.